Witchy Words: August Eve / Lammas / Lughnasadh: Ten ideas for solitary witches! 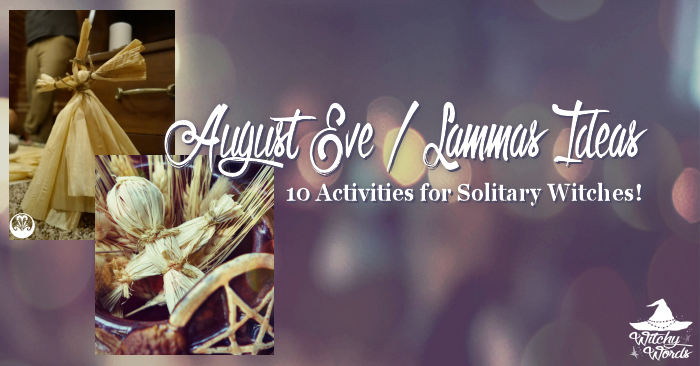 August Eve / Lammas / Lughnasadh: Ten ideas for solitary witches! Use corn husks soaked in water to create figures representative of the season as Circle of Fountains did in 2015. Alternatively, create smaller dolls out of tightly-bunched straw as Liithi Lushede did in 2014. 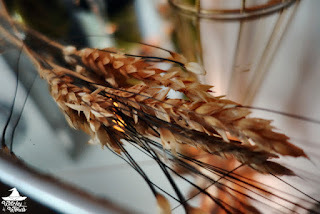 Honor the wheat harvest by baking bread this holiday as Circle of Fountains did in 2015. Honor the corn harvest by creating dishes out of corn, like corn bread or corn salsa, similar to dishes brought by Circle of Fountains members in 2014. Use a mason jar to create a harvest spell, either to encourage he fruition of real crops or to secure your goals, as Circle of Fountains did in 2017. Create a miniature gratitude bonfire by placing a tealight candle in a fireproof bowl and burning slips of paper with what you're thankful for, as Circle of Open Traditions did in 2013. 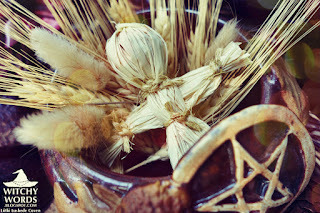 Honor the first harvest by placing dried corn, corn husks and wheat stalks on your altar as I did in 2017 and in 2015. As you harvest your garden, farm or even your local farmer's market, begin canning vegetables and jams for the winter ahead. Because August Eve focuses on protection, hang iron keys, horseshoes or other decor near your door as a way of protecting your home. Take it a step further with these Blessing Keys I did in 2015. 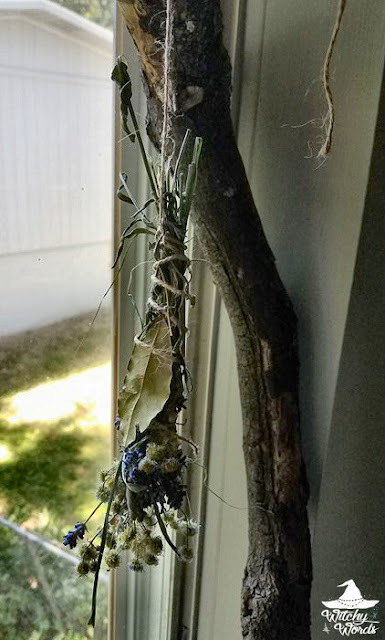 Hang harvested or purchased herbs to dry in your window sill. 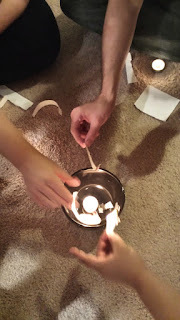 Take it a step further by wrapping ethically-harvested sage, rosemary, bay, lavender and/or more with twine to create your own smoke cleansing bundle. Whatever you choose to do, I wish you gratitude and honor this coming August Eve! Thank you, Liz! 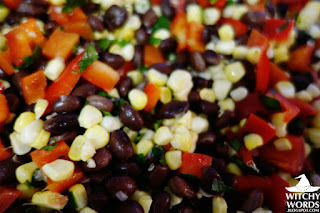 I love me some cornbread, definitely!